We began a series two weeks ago about fighting in marriage. If you missed the last two weeks, check out Fight Club Part 1: The first rule of Fight Club and Fight Club Part 2: Break it down. Healthy conflict is healthy for marriage. It’s a certainty when two imperfect people get together with their desires and wants. As much as we don’t like to admit it, we can be very selfish individuals. Mix that with normal growing pains of a normal marriage and boom, you have conflict. 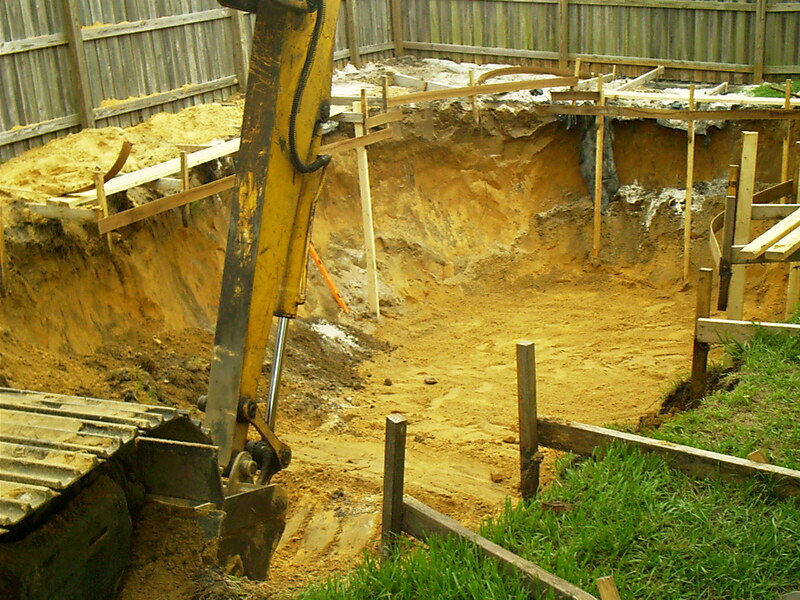 RULE #3: Dig a pool. We’ve started talking. We’ve broken everything down. Now it’s time to dig a pool. What I mean by that is you and your spouse need to have a brainstorm session. It’s here that you “pool” ideas together. The rule I give couples for this step in conflict resolution is this: There’s no such thing as a stupid idea. That rule is a “must” when it comes to “pooling” thoughts and ideas. The second you demean your spouse’s suggestions is the minute you, to use a plumbing reference, start closing the valve of communication with your spouse. In conflict, if communication is cut of and/or your spouse’s opinion isn’t welcome, safe to say, your impasse will go unresolved. By “digging a pool” or pooling together ideas, a few benefits emerge. First you creates new ideas. You get out of the box you’ve been living in and see things in different ways. Throw in a couple humorous ideas just to break the tension and let the laughter help heal some of the frustration (Proverbs 17:22). Secondly, “pooling” fosters more communication. If you two already struggle with “elevator talk“, this step will make you dig deep and find the words to say to each other as you utilize creativity. This method helps you exercise your listening and assertiveness skills that will strengthen the core of your communication. You have to see this step as completely necessary because it is so multifaceted. Not only are you moving forward in resolving conflict, but you are toning your communication skills at the same time. Bringing in humor while encouraging creativity while help you both see that conflict resolution is both NOT scary and can be completely productive in strengthening your marriage. It’s all about doing it in a healthy manner. 2 – Everyone gets a task. List out how you BOTH are going to work it out. This creates accountability and a sense that it’s going to take more than one person working at this to make resolution possible. As you both are stepping forward, your movements toward health become a tremendous source of motivation and/or encouragement to your spouse. Ephesians 2:10 says, “For we are his workmanship, created in Christ Jesus for good works, which God prepared beforehand, that we should walk in them.” We serve a very creative God. You are the product of His creativity to walk in His creativity. Our marriages should be walking as “his workmanship” doing “good works“. You wanna do something good in your marriage? You want to walk in His creativity in your marital conflict? Next week we’ll wrap up this series with dessert. Next Next post: Marriage Series: Fight Club Part 4…Dessert is mandatory!